I've been a fan of umami-rich "moshio" sea salt for quite some time. 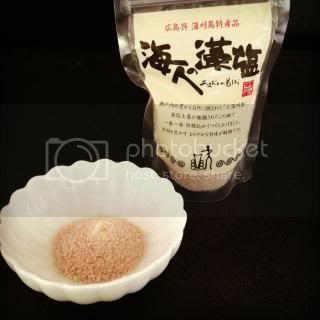 This "moshio" sea salt is made in an ancient method in a small island in Hiroshima. 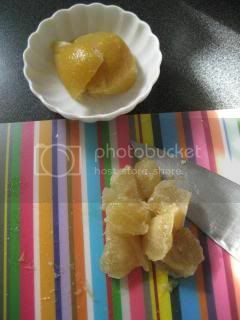 I found a recipe of making preserved lemon by using "moshio", so I tweaked it a little and made my own preserved lemon. 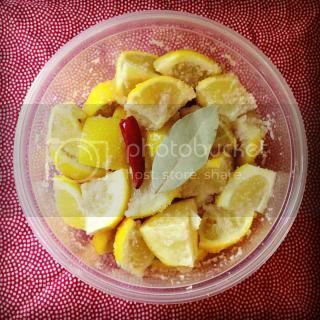 In a sterilized jar, combine 1 lb (450 g) lemon (each is cut into 8 pieces) and 2.5 oz (70 g) salt and mix well. (Salt is about 15% of the lemon by weight.) Add a bay leaf and a seeded dry red chili. Cover and leave at a room temperature for 4 weeks. Meanwhile, shake the jar upside down every few days for even distribution of the salt. 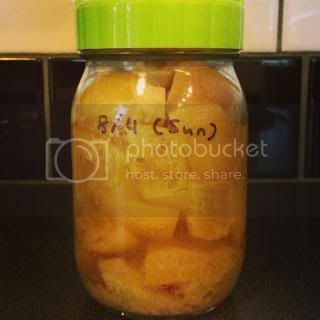 After exactly a month, my "moshio" preserved lemon was so nicely ready. 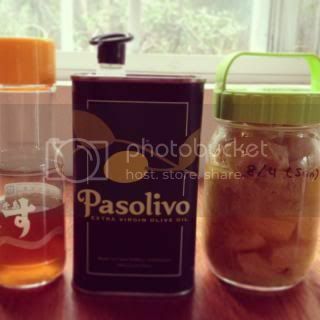 To begin with, I made simple vinaigrette with my "moshio" preserved lemon. 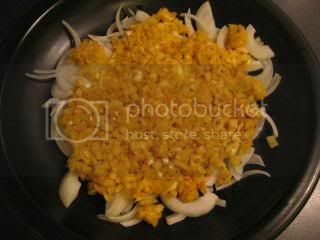 I whisked together 1 piece of preserved lemon (minced) with 1/2 tsp juice, 2 tablespoons Kyoto-style "Awase-zu", and 2 tablespoons olive oil (I love Pasolivo!). Add some ground black pepper. 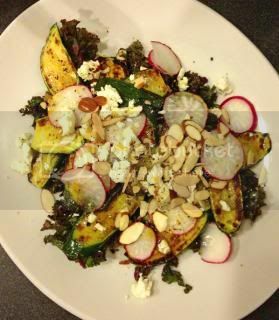 I made a salad with some kale, grilled zucchini, grilled corn, radish, roasted almond, and feta cheese, and tossed in this vinaigrette. It came out so flavorful and gorgeous. 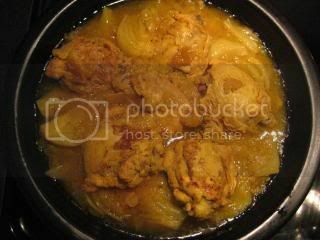 And, of course, I really wanted to make Chicken Tagine! 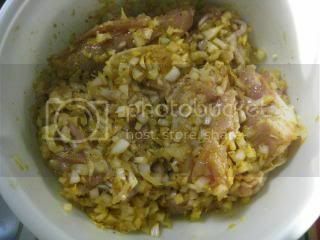 So, I marinated bone-in chicken thighs with minced preserved lemon flesh, minced onion, grated ginger, garlic, and some spices (turmeric, saffron, ras el hanout, etc.) for overnight. 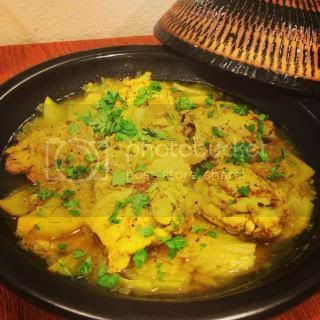 In my tagine-style donabe, "Fukkura-san", I cooked the marinated chicken and fennel bulb. 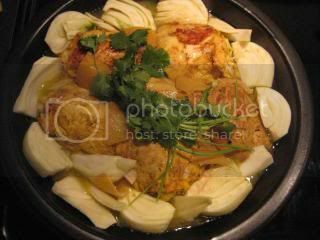 After 1 hour over low heat, my donabe tagine chicken came out so delicious! 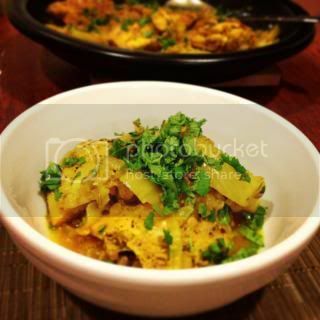 With the "moshio" preserved lemon, chicken was so rich and aromatic. 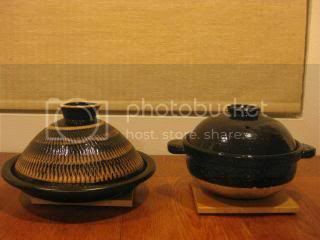 Because the tagine-style donabe has a nice shallow body, the ingredients cooked perfectly in one layer. This time, I kind of played around with spices and other ingredients as I cooked so I didn't really write down the recipe. But, next time, when I will, I want to post the recipe in my blog.